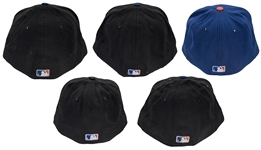 Offered here is a collection of five New York Mets caps worn during the 2006 season. The first three caps are black, with blue brims and a blue and orange Mets logo on the front. They were worn by Victor Zambrano, Chad Bradford, and Rick Peterson. Peterson wore this cap during the 2006 National League Championship Series, won by the St. Louis Cardinals in seven games. 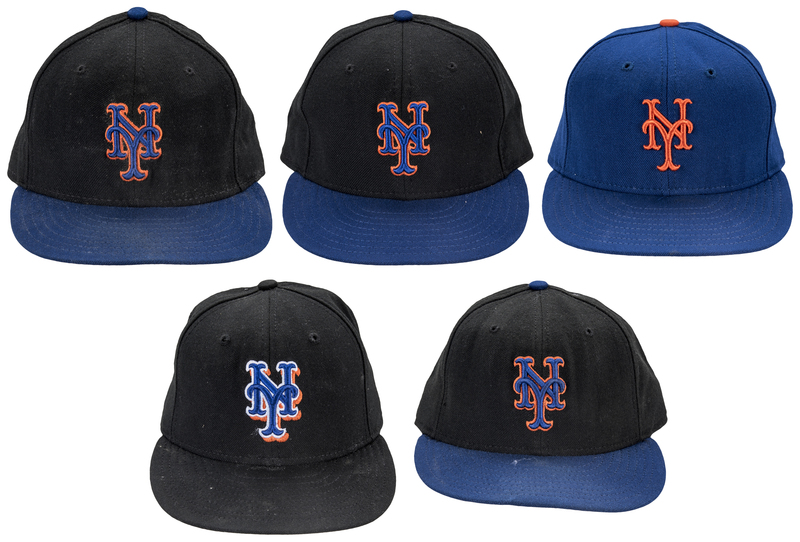 The fourth cap is blue, with an orange Mets logo on the front. It was worn by relief pitcher Pedro Feliciano. 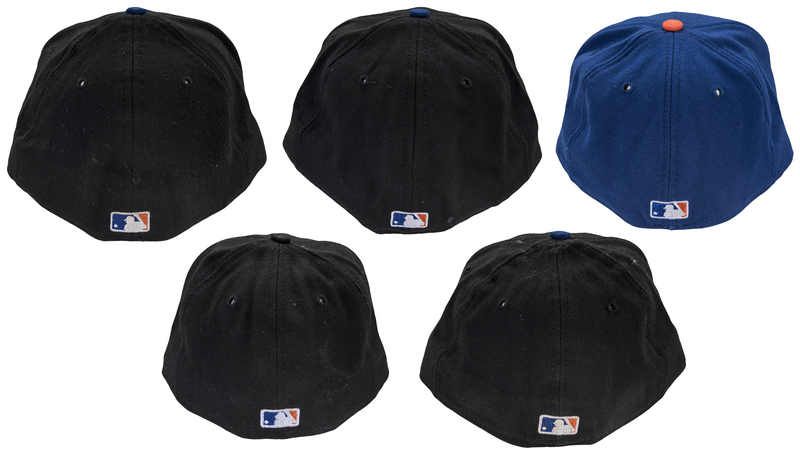 The final cap in this lot is black, with a blue, white, and orange Mets logo on the front. It was worn by Lastings Milledge, a rookie in 2006. 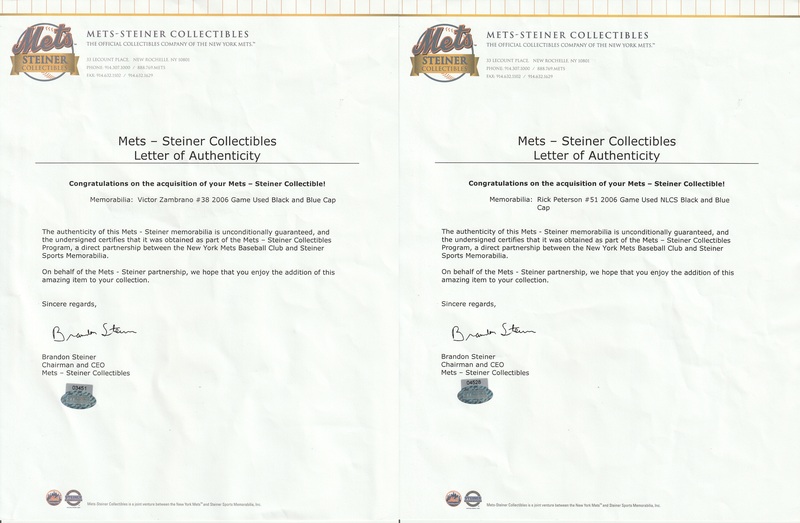 Each cap in this lot comes with a LOA from Mets-Steiner Collectibles. 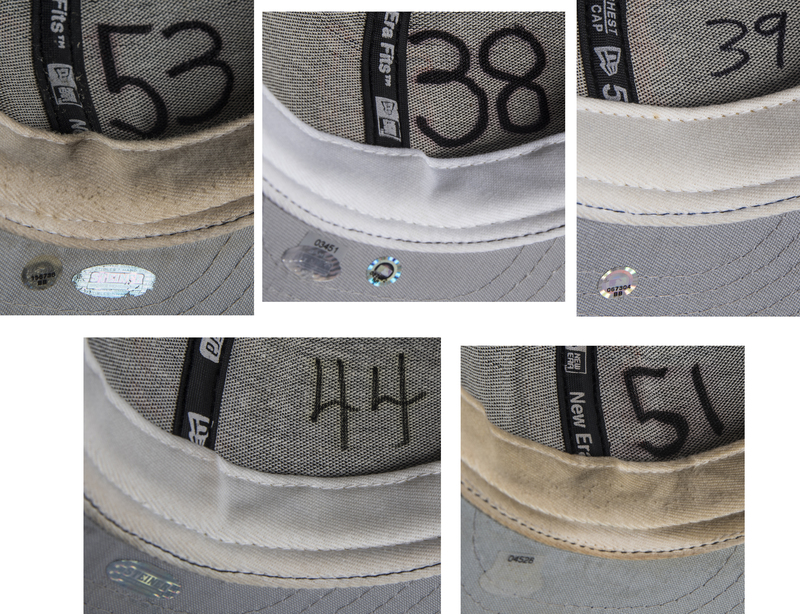 The Feliciano, Zambrano, and Bradford caps each come with a MLB Authenticated hologram (Zambrano: BB 037662, Feliciano: BB 067304, Bradford: BB 155738).